Installing Ubuntu/Linux on Lenovo Ideapad 100 Series!! I have no idea if this goes against the rules and if it does I apologize. The main reason I'm posting this here is for others like me that couldn't find a definite solution to installing Ubuntu on a Lenovo Ideapad (Specifically the 110s). Re: Installing Ubuntu/Linux on Lenovo Ideapad 100 Series!! Well, lets try first the "easy" method to install Ubunu, or linux mint, in your Lenovo Ideapad. 1.Download Ubuntu or Linux Mint ISO for AMD64 systems. 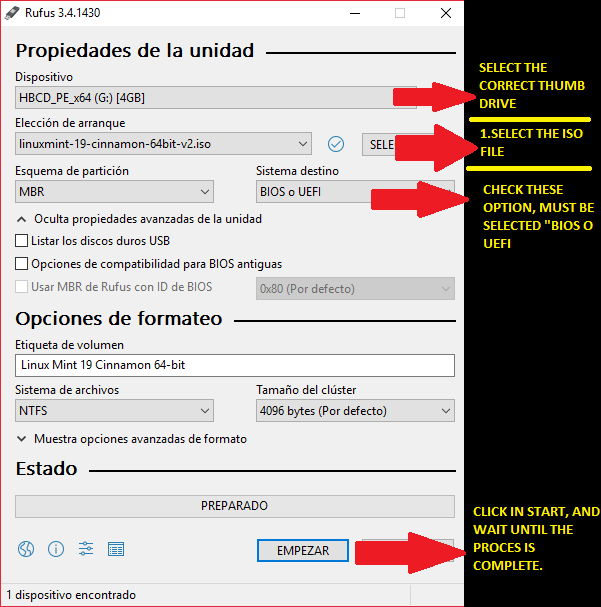 2.Put the ISO into one USB thumb drive, using for example Rufus software under Windows. 3.When the process is complete, put the USB Thumb Drive in your Lenovo, power up, and fastly press F2 (I think these is the correct key to access into the UEFI/BIOS), and change the boot order to boot using the USB Thumb Drive. 4.Install Linux normaly and enjoy. If you have any questions or any problem, please feel free to post.